Even when you’re in a terrible situation, it is good to keep perspective and think about what matters. Acknowledge your issues and how they make you feel, but realise there are more important things out there. You will likely get out of this situation one day and your life will go on. Your self-worth is made up from more than just this situation. You are a friend, a partner, maybe a parent. Your friends and family will still love you. No matter what. You have hobbies and things you are good at. ‘If there is no solution to the problem then don’t waste time worrying about it. Knowing what matters is very much linked to the emotional control attribute of Mental Toughness. Knowing what matters helps us keep our emotions and anxiety under control in a stressful situation. It helps us focus on what we can control and worry less about what we can’t control. It gives us a reason to put our problems in perspective and choose not to take things too personally. Knowing what matters gives us a positive anchor to relate to, reminds us there are still many good things happening, and helps us to avoid becoming overwhelmed with our issues. Every day, write down three good things that happened to you. Do I appreciate the important things in life? Am I thankful for what I have? Do I spend enough time on what matters? 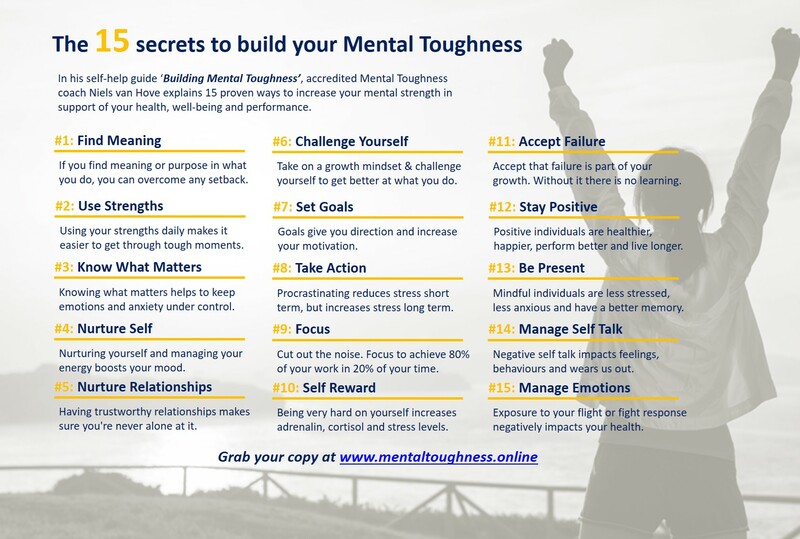 I'm an accredited mental toughness coach and founded www.mentaltoughness.online after a rough period in my life. I love to help people get the best out of themselves and enjoy a portfolio career as consultant, writer and coach. I live in Melbourne with my wife and two daughters, for whom I wrote the children's book; My Strong Mind. My Strong Mind teaches 5-8 year old children about confidence, resilience and growth mindset.